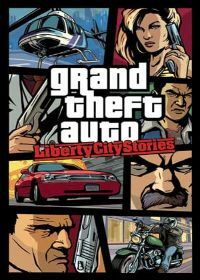 The 2005 release Liberty City Stories was the seventh title in the Grand Theft Auto - series. In the fictional Liberty City, in 1998 you have to do a few old scores to settle. WARNING! Watch the use of cheats that some are not reversible. Save always your game to a backup bevor you do cheat. In this Cheat List 13 active cheats are available. Give in this cheat code in Grand Theft Auto Liverty City Stories and you get 250.000 Dollar in GTA on your PSP (Playstation Portable). This cheat code increase your wanted level in GTA Liberty City Stories. Use this cheat code to never have a wanted level again in Grand Theft Auto Liberty City Stories on PSP. The first weapons set in Grand Theft Auto Liberty City Stories you will get after you have give in this cheat code. Here is the GTA Liberty Stories cheat code for the second weapons set to. In an situation in Grand Theft Auto Liberty City Stories you have no way out, then this cheat code is perfect. Here is the GTA cheat for a suicide on GTA Lib.. In Grand Theft Auto Liberty City Stories on your PSP you can also walk over the water with this cheat code. To resize the wheels on your motocycle in GTA Liberty City Stories you must just give in this cheat code. To change all traffic lights in GTA Liberty City Stories to green you can use this cheat code. Give in this Grand Theft Auto Liberty City cheat code on your psp and you will get the tank wagon rhino.